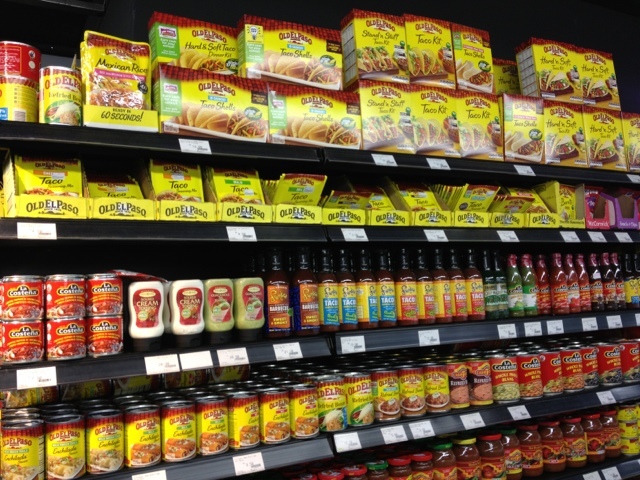 Expatriate in KL: Mexican cravings: where to buy ingredients? 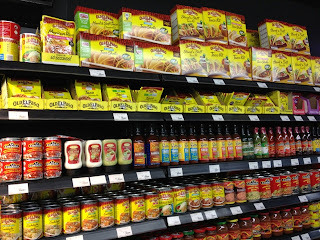 These past weeks I have been having Mexican food cravings. 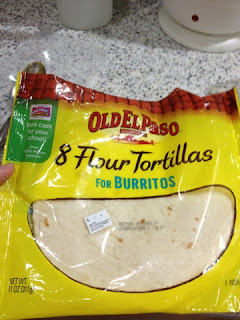 I tried to look for ingredients like the seasoning powder for tacos, enchiladas and burritos. 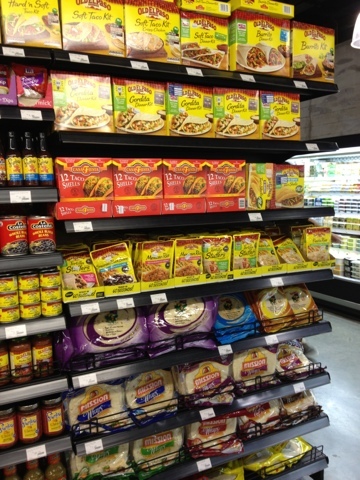 Village Grocer and Cold Storage are both limited, having only some limited McCormick seasoning for the meat. 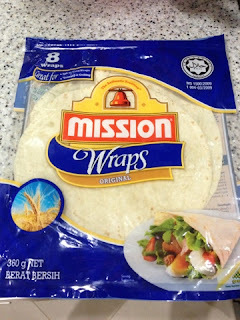 Then for the wrap, I saw an abundance of Mission branded wraps, which I guess is multi purpose for all kinds of wraps, not just Mexican stuff. 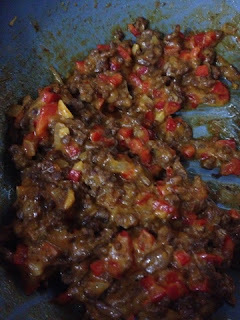 I managed to make yummy burritos, my style, which is with some rice inside together with the meat and veggies, rather than the usual beans. 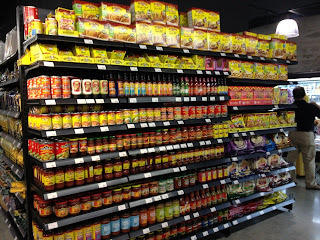 Today, after shopping at BIG (ben's independent grocer) at Publika, I discovered a treasure trove of Mexican stuff! 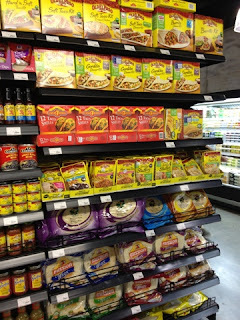 They had a full rack of sauces, wraps, seasoning, etc! 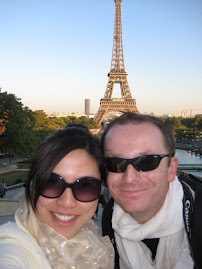 Wow, I was in heaven! 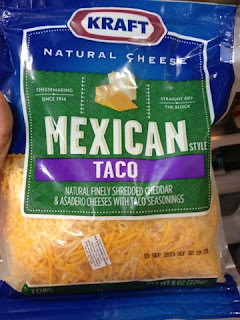 Not only that, it's the only place I found decent Kraft cheese which is especially made for Mexican meals. By the way, the price of Kraft cheeses (shredded) are much cheaper at Big than Village Grocer. Being Chinese, I never really grew up eating burritos or tacos, except when we go out for meals or when I was in University in Manila. Now, my simple go-to meal is making a burrito, which my daughter loves (she is 3-yrs old). Seems she enjoys the freedom of holding the meal in a wrap, plus there is cheese inside. Simple, easy meal idea for a different kind of meal at home... Glad that BIG has all the stuff I need! 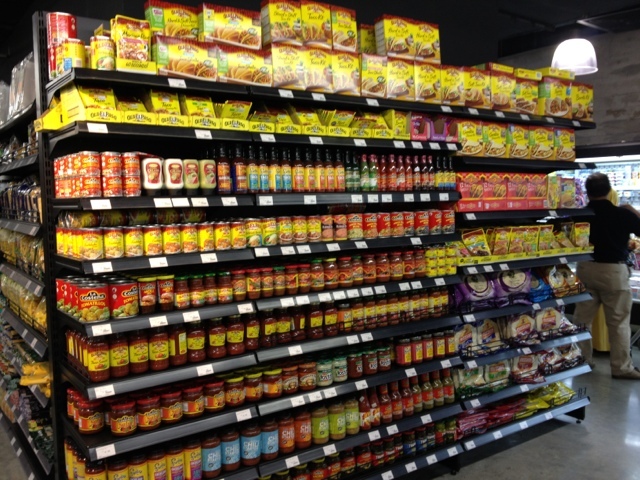 Loads of different sauce to choose from!